New Beaded King Charles Spaniel Pin! 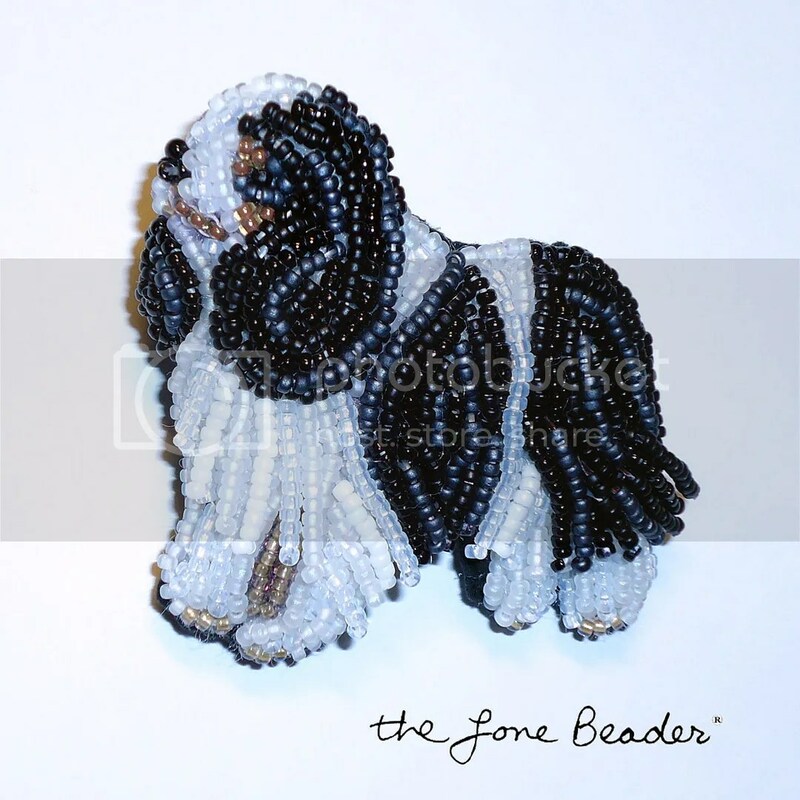 Beaded King Charles Spaniel Pin/ Pendant. 1-3/4" x 1-3/4" (4.5cm x 4.5cm). « Packing Up My Beads to Move..
My vote for the next breed is a collie. You are one talented beader! The person who ordered this should be more than happy with it. I had a friend with one years ago and knew what it was on seeing this picture. We have standard poodles, which we consider beautiful. You asked for a recommendation of next breed to bead–poodle is my vote! What a cool pin! I love the way you captured the look of the breed.